Then the nicer season comes (about time) and I don't need to light the fire anymore. 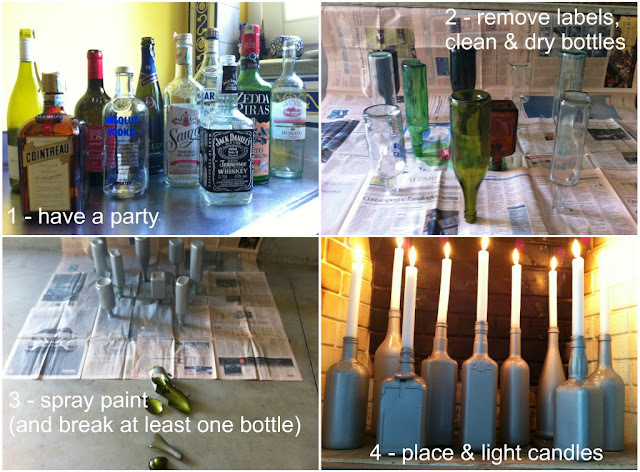 You got that right: I used empty bottles as candle holders. Best of all: have a party! * I used the color "aluminum"
I love the look and have always wanted a fireplace so I could do something like this. Those look pretty darn awesome. I'd love to do something like that but our fireplace is filled with a gas fire! I see you're back from vacation and back at work!! Lovely bottle candle holders. We have a fireplace, but never use it. I love this look and would use it year round. 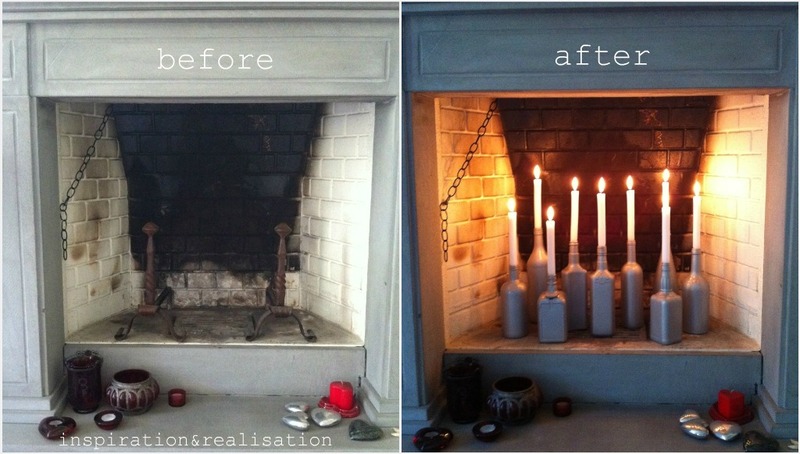 I love the you repurposed the candle holders! Thanks for sharing!! 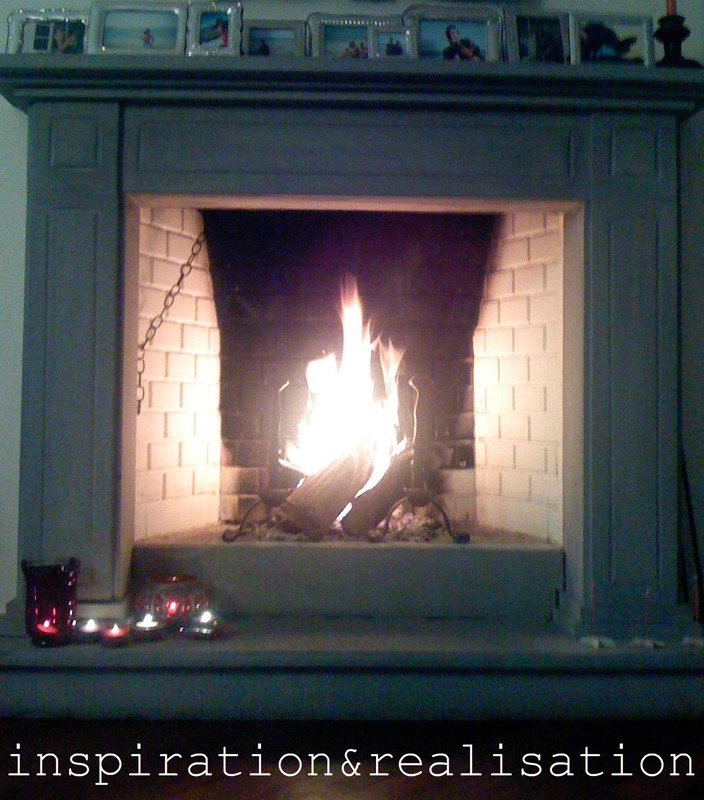 Not new but so many people leave their fireplace empty in the summer. This is a much better option.